Oh boy oh boy it's Thanksgiving tomorrow!!! 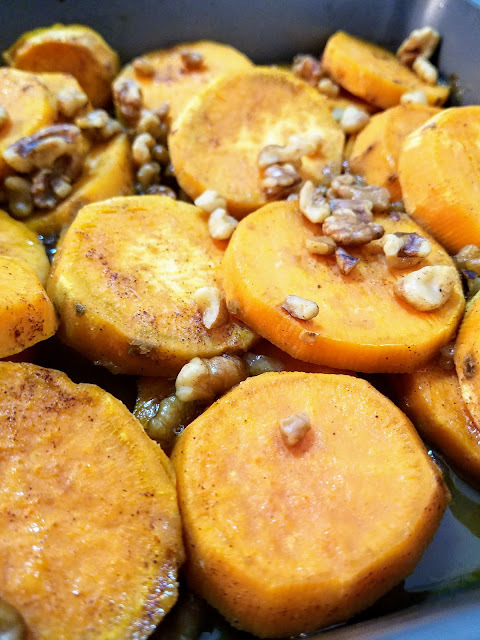 If you need another killer side in addition to cornbread stuffing, try out these candied sweet potatoes. 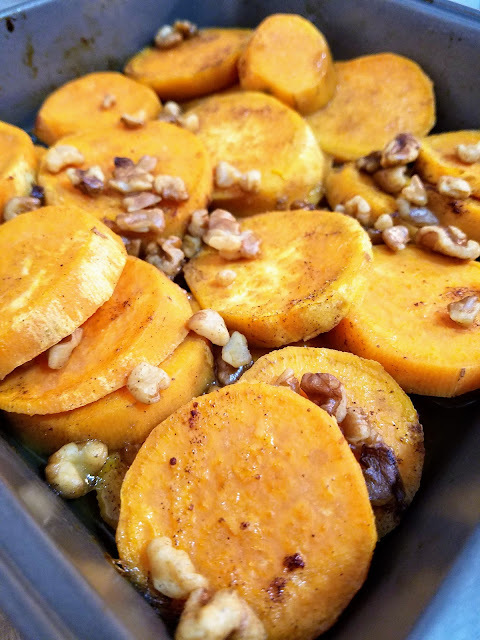 Sweet potatoes are my spirit animal so it's no surprise that the candied sweets are my favorite Thanksgiving treat. It's like dessert that's acceptable to eat at dinner. Who isn't into that? Preheat oven to 375 degrees. 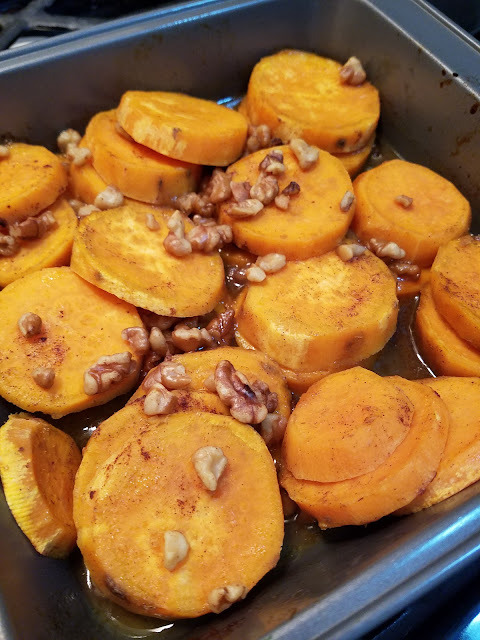 Place sweet potatoes in a deep pan, either 9x13" or 8" square dish. In a mixing bowl, mix together orange juice, maple syrup, cinnamon, nutmeg, and coconut oil. Pour mixture over sweet potatoes and cover dish with foil. Bake for 40 minutes. 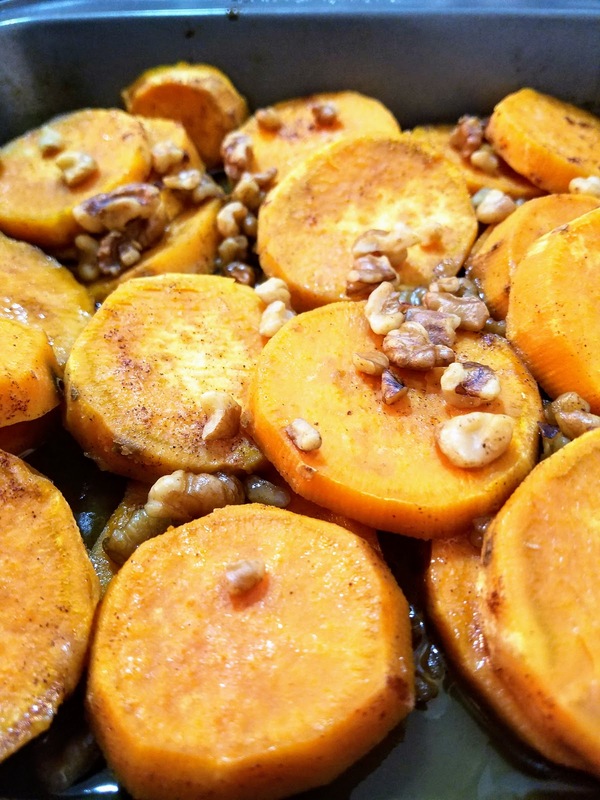 At the halfway point, toss and redistribute liquid over the potatoes, and sprinkle with nuts. Then, bake for an additional 10 minutes uncovered. Let cool for 5 minutes and then serve.